Information Technology is intended to support agency missions and business needs. 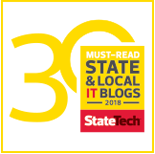 With this goal as a preconception, and in accordance with the authority and duties assigned to OIT by State of Alabama Legislation, the OIT presents Policies, Standards, and Guidelines for the management of State information resources. 02/04/2019 01/29/2019 * Standard 101S1: IT Governance Documents - NEW! 02/04/2019 01/29/2019 * Guideline 101G1: IT Dictionary - NEW!